GAMBELA, ETHIOPIA, 24 JUNE 2014 – At Pagak entry point, on the border between Ethiopia and South Sudan, a long line of parents and their children wait patiently in the intense heat of the refugee registration tent. They anxiously watch as four health workers swiftly administer life-saving vaccinations to the children ahead of them. 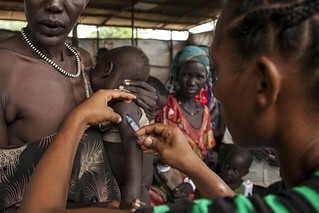 UNICEF, in conjunction with the Gambela Region Health Bureau, has rolled out a programme of vaccination for South Sudanese children seeking asylum in Ethiopia as a result of the deadly civil conflict currently raging in their home country. 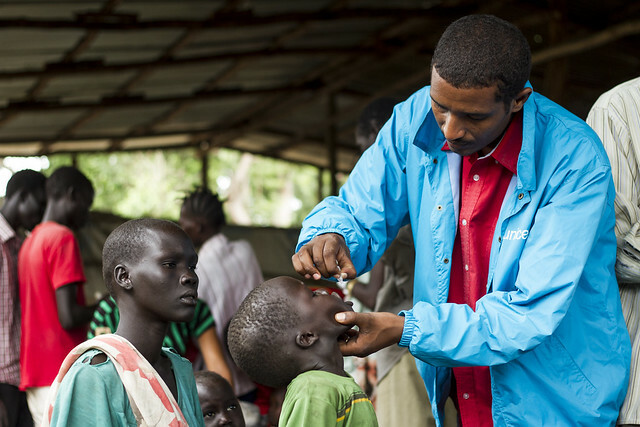 Since fighting began in December last year and the first refugees crossed into Ethiopia at the beginning of January 2014, UNICEF has helped vaccinate 91,785 children against measles and 74,309 against polio. A further 41,333 children have been given vitamin A supplements to help combat malnutrition. “Registration and screening is done by ARRA (the Ethiopian Administration for Refugee and Returnee Affairs) and UNHCR,” says Lemmi Kebede, supervisor of supplementary immunisation at Pagak entry point and Kule refugee camp. Priority, he adds, is given to pregnant women and lactating women with children less than six months old. “After registration, the children come to the vaccination point. Because levels of immunisation are low in South Sudan, eligible children are given vaccinations irrespective of whether they have had them in South Sudan or not. They are given an immunisation card which they take with them when they are transferred to the refugee camps,” Lemmi explains. Tesluoch Guak, just two and a half weeks old, is one of the beneficiaries of this programme. He cries as the health assistant gives him his measles injection. Despite her baby’s discomfort, his mother, Chuol Gadet, is pleased that Tesluoch is receiving his vaccination. “I understand that this is important for the health of my child,” she says. The health situation of the newly arrived refugees is very poor. “In general, most of the asylum seekers are malnourished when they come from South Sudan. They have walked long distances without much food. Many have malaria and respiratory tract infections. 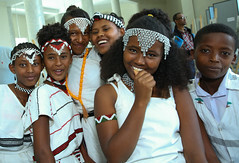 They are really in a stressed condition,” says Bisrat Abiy Asfaw, a health consultant for UNICEF Ethiopia. This makes them highly susceptible to communicable diseases like measles and polio, he continues. In February and March there was an outbreak of measles in Pagak – at the time more than 14,000 refugees were waiting to be registered and transferred to refugee camps within Ethiopia. 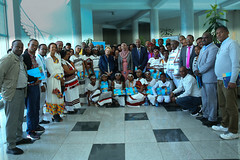 UNICEF quickly rolled out a vaccination programme and helped ensure that children with signs of infection were quickly diagnosed, quarantined and treated. “We were detecting new cases every day,” says Bisrat. “We tried to vaccinate all the children. 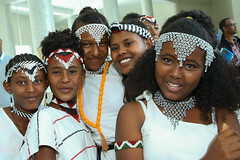 We did a campaign on measles to increase and develop immunity within the refugee community. The focus of the vaccination programme has been on the registration sites, although immunisation also takes place at the refugee camps. “Our strategy is to vaccinate the children as soon as possible after they enter the country, and that means working seven days a week. We are aiming for 100% coverage,” Bisrat says. And the strategy appear to be working. “The cases of measles has significantly decreased and we have had no reports of measles during the last 6 weeks,” Bisrat affirms.